IVYBRIDGE have dropped down to fourth in the South West Premier League after suffering their biggest defeat of the season. The Bridgers, who had start 2019 in second place, were beaten 38-18 by Exeter University at Cross-in-Hand. It was Ivybridge’s second loss in a row, having gone down 17-10 at Drybrook last week. Prior to Saturday, their previous biggest loss had been a 20-10 reverse at league leaders Bournemouth. He added: “Things did not go our way, but, fair play to them, they really came at us and put in a huge defensive shift and really put us under pressure. It was very difficult for us to play the way we wanted to because of the pressure they put on us. Ivybridge had been in good form before the Christmas break, but now find themselves still waiting for their first win of 2019. “Things have not gone our way, but it is in our own hands,” said Tripcony. “You don’t become a bad team overnight. Maybe a bit of the belief for some reason has gone over the Christmas period because before we were that team that were finishing sides off, breaking gain-lines and winning collisions. Saturday’s game was quite tight until mid-way through the second half. Ivybridge were only 14-11 down at the break and were only one point behind until the 53rd minute. Billy Pinkus kicked two first half penalties before George Wilson scored a try. In the second period, Ben Watts crossed the whitewash and Pinkus added the conversion but that was as good as it got for Ivybridge, who face Exmouth away next Saturday. 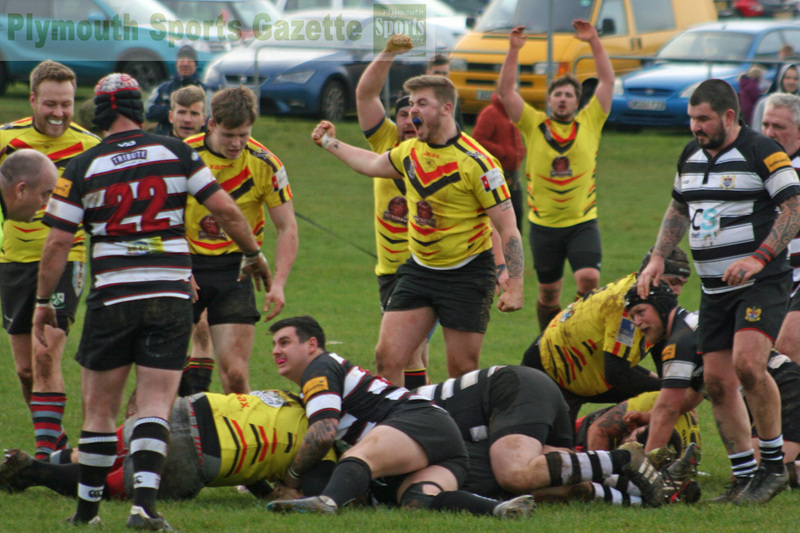 DEVONPORT Services’ three-game winning run was ended on Saturday when they lost 14-7 at fifth-placed Bridgwater & Albion. The clubs went into the match sitting next to each other in the table with almost identical records. They had also played out a tight game at the Rectory at the start of the season, which Services won 13-12. So it was not much of a surprise that Saturday’s match in Somerset was also tight. Devonport, in sixth spot, led 7-0 at the break thanks to a try from a maul by Joe Semple, which Richard West converted. But Bridgwater hit back after the interval and scored two converted tries to take victory and leave Services having to settle for just a losing bonus point. “We didn’t do enough to win the game but probably did enough for the bonus point or a draw might have been a fair result,” said Services coach Mike Lewis. “We were 7-0 up at half-time, but they went in for a chat and came out and changed their game and adapted really well. “The first half was quite scrappy and quite a boring game. It was always going to be the case of which team booked their ideas up in the second half would win and it was them. Services might have suffered disappointment but there was joy for Saltash in Western Counties West after they returned from Truro with a nerve-wracking 13-12 win. It was their sixth victory of the season – one more than they achieved the last time they were at level seven – and has lifted them up to 10th place and within one win of seventh-placed Falmouth. If the Ashes’ victory was not enough, then they were also boosted by defeats for Winscombe and Chard, who they had been sandwiched between at the start of the day. Saltash went 3-0 in front early at Truro when Kieran Down kicked a penalty but against the run of play Truro scored a converted try to lead 7-3 at the break. The visitors, though, took just nine minutes of the second half to go back ahead when Phil Eatwell continued his good try-scoring record this season with another touch-down, which Down converted. Down kicked another penalty on 58 minutes to make it 13-7, which was how it stayed in the last seconds of the game when Truro scored. The hosts could have snatched the win had they added the conversion, but, fortunately, for the Ashes the kick was missed. 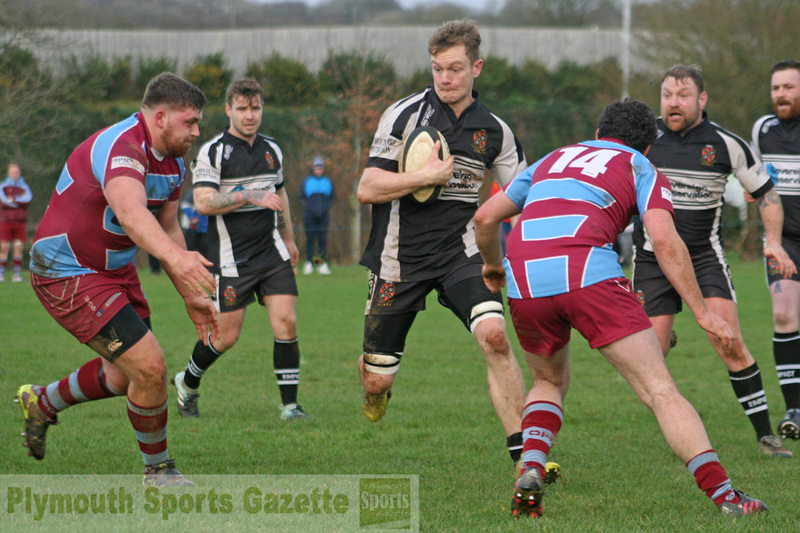 TAVISTOCK have jumped out of the relegation zone and moved up to 11th place in the Cornwall/Devon League after beating Pirates Amateurs 24-12 at Sandy Park on Saturday. It was a massive win for Tavistock and crucially they got a bonus point and denied their relegation rivals one. The five points they picked up not only moved them above the Pirates but also ahead of Plymouth Argaum and Lanner. “It wasn’t quite do-or-die but we knew we had to win so that we weren’t worrying too much about games ahead,” said player-coach Hammy Kerswill. Tavistock were probably a bit too keen at the start and gave away a few penalties but they soon settled and Jack Easton put them ahead with a try from a well-worked backs move. A couple of minutes later, Tavistock went 12-0 up when a ball came out of a ruck and Ash Toll picked up and ran nearly 70 metres to score under the posts for an easy conversion for Easton. And the hosts went in at the break 19-0 ahead when prop Charlie Charlton crashed over after good play by fellow front-rowers Joe Hair and Kerswill. Kerswill did pick up a yellow card after the break but the hosts later increased their lead when Australian scrum-half Hamish Dawson went over under the posts following a tap penalty. “We were dominant up front again,” said Kerswill. 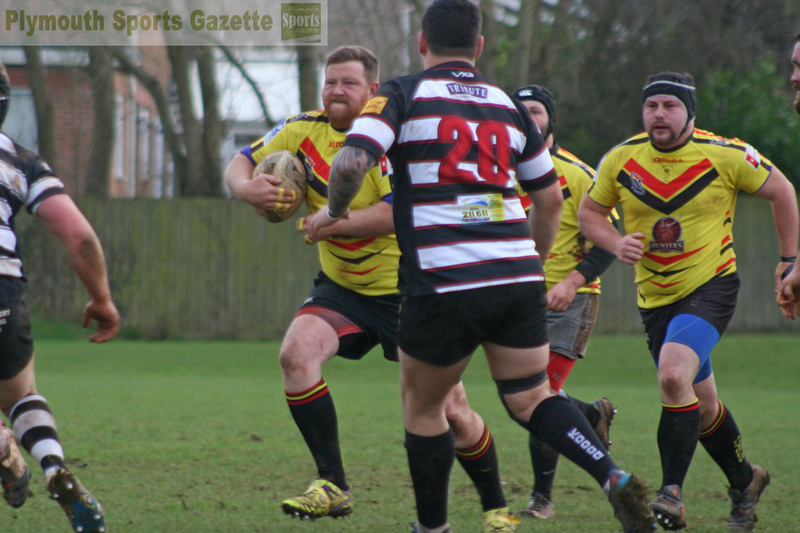 “Our scrums were good and our backline played with much more width than they did. But Tavistock did not let them score anymore and so the Pirates drop back into the bottom three. Plymouth Argaum are only avoiding staying out of the bottom three courtesy of having more wins than the Pirates. They lost 38-5 away at sixth-placed South Molton in a match that was turned into a friendly so the visitors could play a couple of unregistered players to even the numbers up. Argaum were struggling to get a full side to make the trip to north Devon due to injuries and unavailabilities but still travelled to fulfil the fixture and avoid a five point deduction. They found themselves 21-0 down at half-time, but did manage a try after the break courtesy of forward Calum Mills. However, South Molton added three more tries after that. The Argaum players that did travel to north Devon did show plenty of spirit. South Molton appreciated their efforts as well and presented them a bottle of port to travel home with. 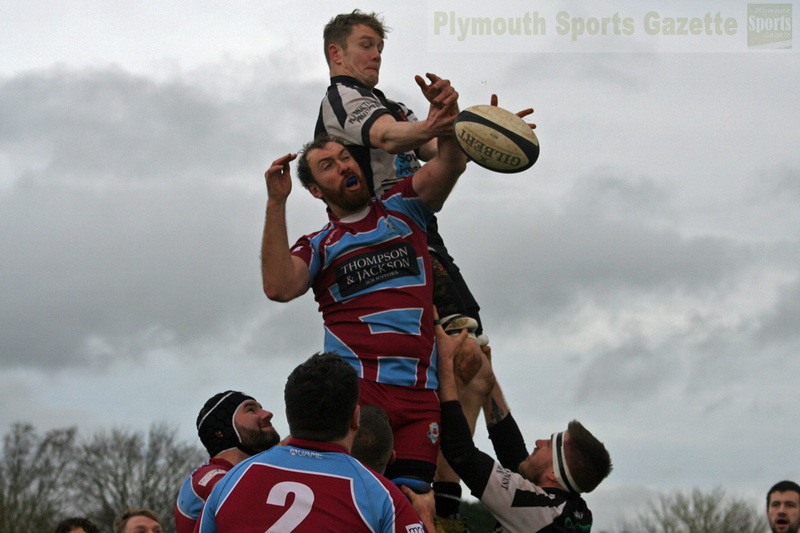 At the other end of the table, Plymstock Albion Oaks kept pace with fellow high-flyers Bude, Honiton and Penryn by beating Withycombe 27-0 away. Oaks scored four tries in the first half before losing their way a bit second half once they knew the game was won. “They (Withycombe) told us they were fielding their strongest side for a while, but we played our systems very well,” said Oaks’ Will Booth. “It was a game of two halves, as they say. We got four tries in the first half and then went off the boil a bit in the second and they came back into a little bit but never really looked like scoring. Ben Duggan and Cameron Goss both scored two tries for Oaks, with Corey Jamieson adding their other and Al Murray adding one conversion. Liskeard-Looe stay in seventh spot, despite losing 36-13 away at Torquay Athletic. TAMAR Saracens caused an upset in Devon One by beating title-chasing North Tawton 10-8 at Taw Meadow. Sarries became only the second team after leaders Exeter Athletic to overcome North Tawton this term. The hosts kicked an early penalty through James Bowden, but Sarries came back with one of their own through Lewis Swatton. The visitors, with veteran Derek Swatton impressing in the pack, then went in front with a converted try from Ryan Deacon after some good play by the forwards. 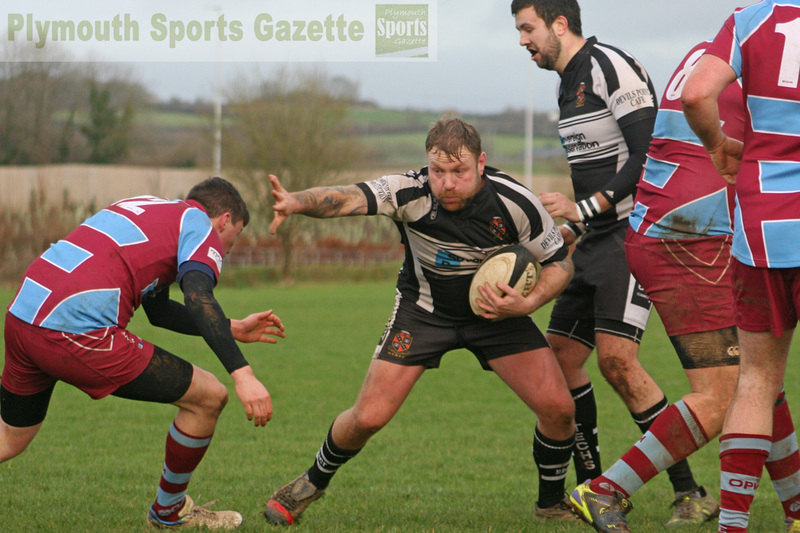 North Tawton closed to within two points when Matt Baker scored with a chip-and-chase but they could not add the conversion or add any further points. “We produced a really good performance,” said Tamar Saracens’ Marc Cioffi. “We worked really hard in the week on our defensive structure and we really took it to them. It was really good. “The boys were absolutely ecstatic. It is the first time this season we have played rugby like we were doing two or three years ago and we were really enjoying it. Everyone was playing with a smile on their faces – it was superb. Sarries were boosted by two new Royal Marine signings – Reece Garbutt and Jordan Wilds – who came on as replacements in the second half. In the Devon Merit Table, Plympton Victoria were beaten 31-0 by a strong Torquay Athletic II side at King George V Playing Fields. However, Plym Vic, who twice thought they had scored a try, felt there were positives from their performance. The previous week they had beaten Tavistock II 36-14. “We did play quite well,” said Chris Hunt. “And we had good numbers again with four subs. “We knocked on the door a bit and had a try disallowed, but maybe we should have taken a couple of our penalties just so we weren’t nilled. “But they put 50 or 60 on us away so we have almost halved the deficit, which shows we are making improvements, which is what you are looking for when you are playing these strong second teams. Fourth-placed St Columba & Torpoint lost 31-14 to unbeaten league leaders Salcombe at Defiance Field on Saturday. Saints were leading at half-time, but Salcombe came back to score three converted second half tries to pick up a full five points. 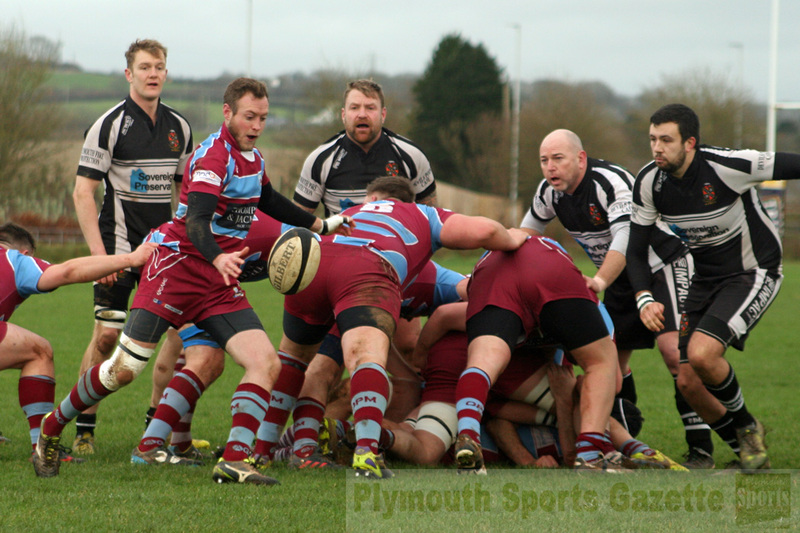 Elsewhere, DHSOB lost 36-28 away at Plymstock Albion Oaks II.